The beginning of any van conversion is getting it insulated and lined. It turns your van from an ’empty bean can’ into a comfortable space, revolutionizing the driving experience and giving comfort to the living area. 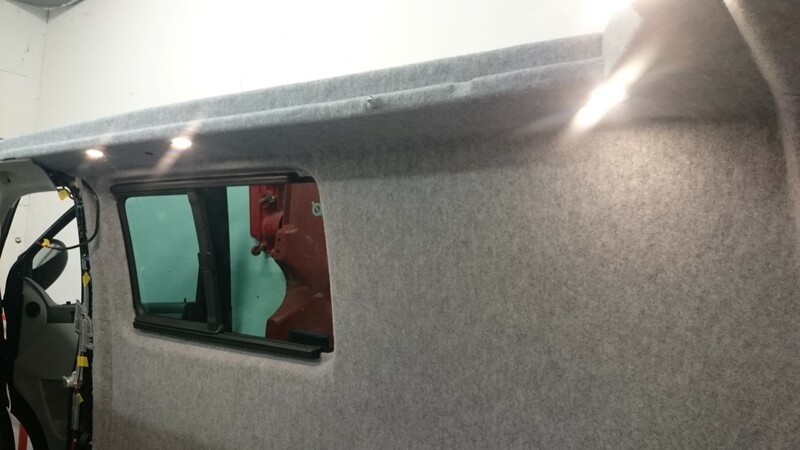 We can offer many different options depending on your budget, basic insulation will totally transform the comfort and noise levels, but add in our full soundproofing service to ensure the quietest of rides. We use Silent Coat and Dodo which offer amazing results. Insulation in your van is important to ensure your van is warm and cozy in the colder months and cooler in the summer months. It helps to stop your van feeling like a “Bean Can” on those sunny mornings (this does happen) and also helps with condensation. We offer a range of carpet finishes to suit your colour scheme.